Last week, our family came to visit us all the way from Georgia. In planning for things to do while they were here, I found that ULTA is having a free salon event featuring Living Proof. 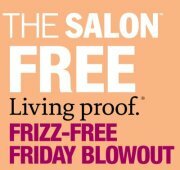 Basically you get a free shampoo, blowout and style with the Living Proof frizz-free products. So I booked one appointment for me and one for my mom on the first day. Her hair is curly/wavy permed and mine is naturally curly/wavy but I flat-iron mine straight. 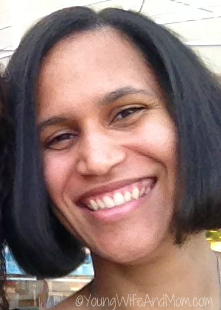 My hair took a little bit longer to blowout but it was worth it. My (expensive) new haircut from last week got a nice pick-me-up for no cost. With the Living Proof products, your hair is supposed to be frizz free all weekend long (and mine really was despite all this Texas humidity!) *Note: I use a satin sleeping cap at night to protect my hair style. A little more volume than I like but still awesome. On the way out, I looked up the price of a normal blowout and it is $25+! What a steal to get this for free?! There are still 2 more days to get in on this event. This is at ALL locations! Just call your local ULTA salon and book your appointment. If the salon tells you otherwise, (politely) ask to speak to someone else or customer service. It's all spelled out on the event page on the Official ULTA Facebook page here. Have you already tried Living Proof?